Are you missing the spooky show of Zee TV??? Then good news for all the viewers of ZEE TV and fans who love the horror show. Zee TV bring back its most popular horror show “Fear Files 2” yes, you read it correct Fear Files is back on ZeeTV and the air date & time of the show is given below. Well it’s expected that new season will bring more horror stories. The timing of the show is same as before you can enjoy the show every Saturday & Sunday on 10.30 P.M. 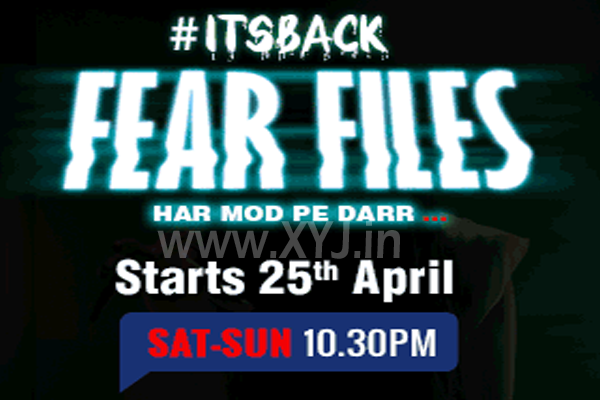 The tag line of the show is changed this time its tag line is “HAR MOD PE DARR – FEAR FILES”. So don’t miss your favorite show and do share it with your friends, colleague & relatives who are missing the show more and also share your thought about the show in below comment box. Once again Fear Files details for you.